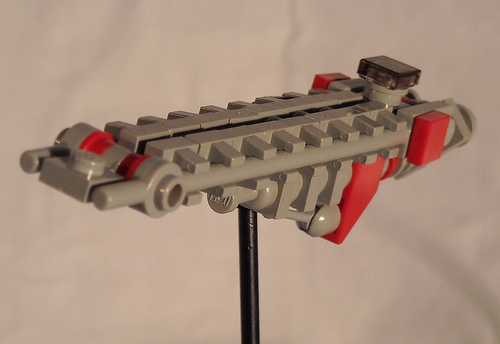 Nathan Simkiss (Arterin) has recently posted a fantastic array of micro scale space creations. He’s managed to make clever use of several parts to create great detail at a small scale. I especially love his “freighter/tanker thing,” below. The design is simply awesome. Nothin More T Say.